Now I love my little blog and all the amazing people it has connected me with! I have learned so much about blogging in the past year, and I am looking forward to what 2015 will bring! 5. My Job Has Its Perks, Like Meeting David Beckham: This is quite possible MY most favorite post, however… it barely made it into the number five spot with my readers! (it almost got beat out by Halloween Cupcakes!) It was super random how I got to basically be his ‘handler’ when he came to our station for an interview, simply because I *really* wanted a picture. I didn’t intend to make his visit to our station a blog post, since I actually leave most of my work stuff OUT of this blog. (it is a line I don’t want to blur) But he was such a nice guy to everyone… that I thought people who were a fan of him would enjoy reading about what he was like in person. 4. Picture Day Fail: Mila does not disappoint when it comes to viral photos and her very first school picture proves it. We did, in fact, buy these pictures with her sweet, sad face. 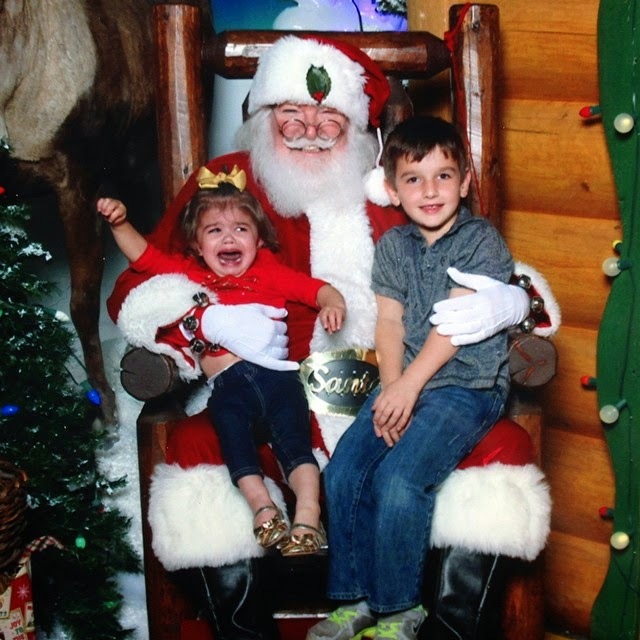 She still isn’t a fan of professional photos… as you can see from her picture with Santa this year. 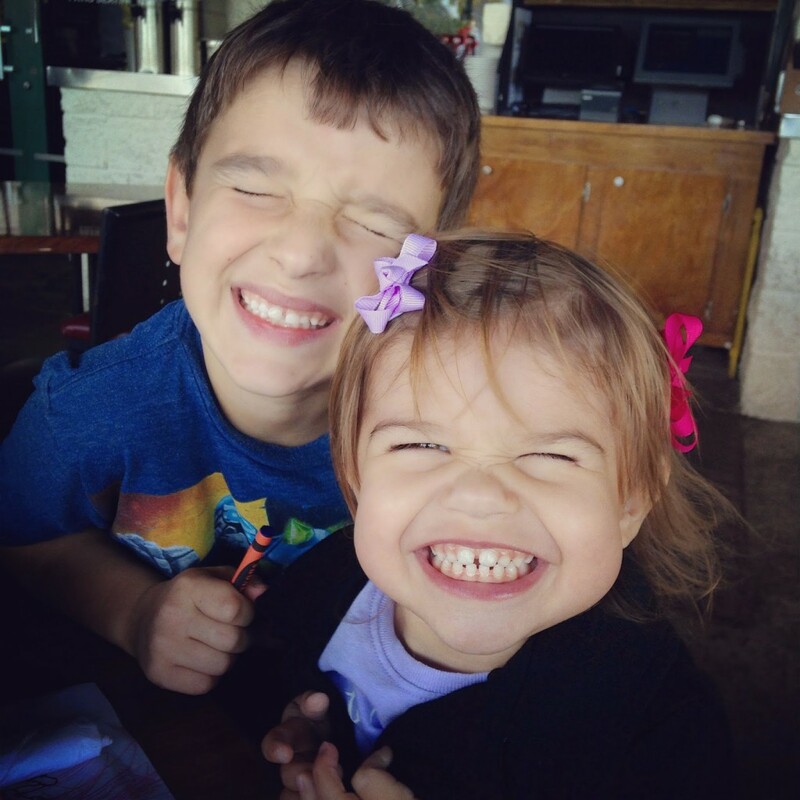 However, she has no problem cheesin’ it up for family! 3. 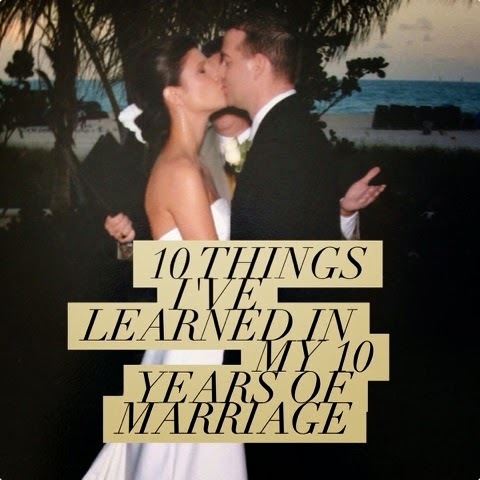 10 Things I’ve Learned in My 10 Years of Marriage: I loved this post, it is one of my favorites. It took me a long time to narrow my list down to just 10 things, but I think I succeeded in choosing the most important ones. So many people related to number 1. (people don’t change) I was surprised how many people I knew who had failed marriages admitted to me that they had wished they had realized that fact before they got married. Also, I am not a very mushy writer, so I don’t think the post turned out as romantic as I had imagined it… but my husband loved it and it was only post I ever asked him to read before I posted it. 2. 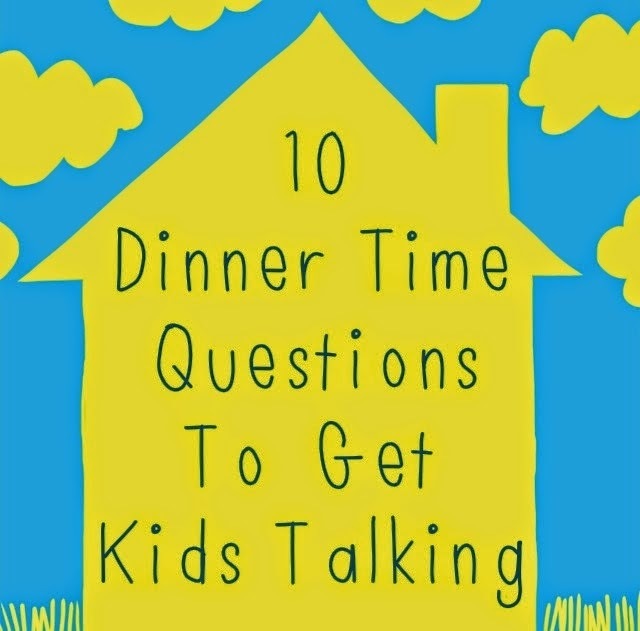 10 Dinner Time Questions to Get Kids Talking: This is one of my earlier blog posts and it is still really popular. I realized my son was giving me really short answers about his day at school once he started kindergarten, and some of my friends were telling me the same thing about their kids. So I came up with a bunch of questions that I would rotate asking him and we always got great answers. I think my husband commented that it would make a good blog post and he was right! I have a part 2 almost ready to go… but I keep getting sidetracked. It will be up before summer… hopefully! So there you have it! My top 5 most popular posts of the year. It is really interesting to see what my readers enjoy and while it is very tempting to cater to pageviews (Trader Joe’s weekly anyone???) I have decided that I am going to continue to write what I love… which is whatever post pops into my head. Right now I LOVE my blog. It is ME. My friends tell me I blog exactly how I talk, which is what I want. I love how my page looks, I love all my posts, and it still shocks me every single day that people actually want to read it. So if you are one of those people… THANK YOU! Thank you for indulging my happy hobby. See you in 2015! I just started following you and actually just started my blog up … still working on being more consistent with everything, but I'm getting there. I really enjoyed this post!!! It was nice to see all the biggest posts of the year!!! Looking forward to many more great posts in 2015!!! I have read most of these posts! I really loved your post on your marriage. I remember sharing it and a lot of my readers liked reading it too. I also LOVE your daughters adorable little picture face. She is just too cute. Happy New Year! Thank you! I remember when you shared it! 🙂 Here's to a awesome year of blogging for us in 2015!! 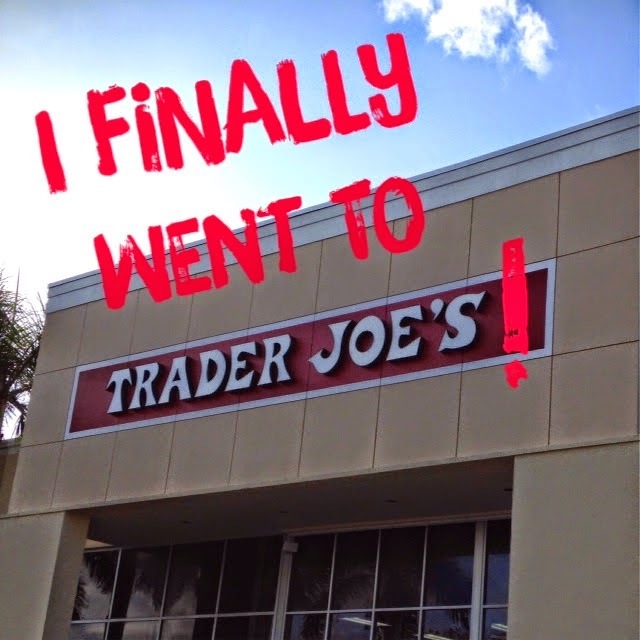 I've read a lot of these posts (not the Trader Joes one though, actually). Your dinner time conversation topics are great. My daughter rarely shares what she did in preschool at the dinner table, so it's nice to have a starting place for conversations. Yeah, I have had to be even tricker now since my son is in first grade, so I really need to update that one… eventually! HA! Happy New Year!!! Great posts to end the year with! Looking forward to catching up in the new year!! Me, too!! Looking forward to what blogging has to offer us both in 2015! I read most of the posts you mentioned, but a few that I missed. It's been fun following your blog this year! Always a good read from you! Keep it up! Ha! I've read all of these posts! I loved them-the pics if Mila still crack me up! You're one of the first mommy bloggers I found and I love your blog! Cheers to a great 2015!! Aww Thanks Tarynn! I love yours as well.. we have had a fun year.. looking forward to 2015! I remember a few of these. The one I remembered the most clearly was the photo fails, honestly. It was just too funny, and her expressions stuck in my head. LOL. I love seeing what worked best with my blog, too, but don't really cater to it in most areas, either. So many people still talk about that photo one, and when I put this years santa pic on Instagram it was the same thing. Yeah, the trader Joes thing floored me, but I can't really change my whole blog based upon that stuff. (right? hahaha) Have a wonderful New year!! Thanks for listing your top 5 blogs. Makes it easier for me to find them. 🙂 I love the pics of your little girl. So funny. Cute! Peace! Thank you! Have a wonderful new Year and thanks for taking the time to comment!! I think I have only read your marriage post, so I'm off to check out these other ones. Your daughter is so cute! I'm not comfortable in front of a camera either, so I completely understand. yes she is a ham, but only for selfies! ha! Have a wonderful new year and looking forward to some blogging adventures ahead! I loved your marriage post and your Trader Joes post. I didn't know you met David Beckham – super cool. Love the picture of the two of you! Happy New Year! yes it was a fun day for sure… 😉 Happy New Year! Thank you so much for all your support and I am really looking forward to the blogging year ahead for us! You should!! I would love to see your top 5 posts of the year!! 🙂 And yes we would def have drinks! (and I would have one too many! ha!!) Happy New Year!! Happy New Year! It's always fun taking a look back at top posts and favorites recapping the past year. Wishing you the best in 2015! Thank you! I was really surprised to see it… I guess I need to pay more attention to individual posts and those numbers more often! I hear ya with the random crap that ends up being popular. My Let it Snow Playdough recipe DOUBLED my previously most popular post of all time in one week. But it's far from my favourite! Lol. My favourites of yours was Mila's preschool pictures and your Top Ten about Marriage! So glad we've "met" through blogging and am looking forward to more to come! I know… I am so glad I met you too! I am so thankful to have support from amazing bloggers like you!! Here's to a wonderful 2015! I can see why these were your top 5 blog posts! I loved your marriage one. I was surprised that 4 of my 5 were older than 2014. I've got to step up my game *wink*. I loved that picture day post:) And I am SO JEALOUS that you got to meet David Beckham! Hi Lauren! Looks like you had a great year. I will check out some of the posts I haven't gotten around to. I'm intrigued. All the best to you and your family in 2015 and continued blogging success! Thank you and to you as well! Thanks for taking the time to comment and heres to a fab 2015! I did a "Top 10" post and I was surprised to see which posts did better than the others. I am interested in your dinnertime conversations post. We aren't in that phase of life yet with our little man, but I can definitely see how it would be frustrating to get short, one word answers from your son. Thanks for sharing this post at the SHINE Blog Hop! i really need to update it, since those questions don't work with my very mature little 1st grader haha! Have a wonderful week! I will be there!! Have a wonderful week! !